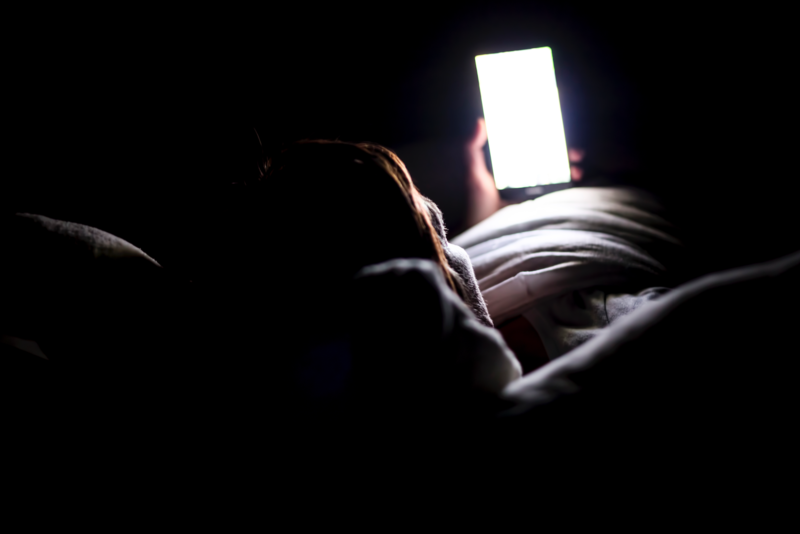 If you have trouble sleeping, one of the top suggestions out there is to set yourself up with a nightly routine that involves cutting yourself off from bright lights and technology for some time before bed, since the blue light from your phone can seriously disturb your slumber. But now, there’s another reason to stay off your phone before bed, and it has to do with your internet speed. According to a study published in the Journal of Economic Behavior & Organization, researchers discovered that high-speed internet can actually reduce the amount and quality of sleep you’re getting at night. So it’s not just your phone itself that’s keeping you from getting the sleep you need, it’s what you’re doing on your phone (or computer!) that matters, too. The study revealed that using a device with broadband internet before bed makes it too attractive to stay up later, and people are getting 25 minutes less sleep each night than if they weren’t using internet at all. So how do you avoid falling into the technology trap and letting your sleep suffer? Easy: say goodbye to your phone, iPad, computer, or any device that would tempt you to use the internet before bed. “Given the growing awareness of the importance of sleep quantity and quality for our health and productivity, providing more information on the risks associated with technology use in the evening may promote healthier sleep and have non-negligible effects on individual welfare and well-being,” the study’s authors wrote. If you have trouble falling asleep when you get into bed, try reading a book or doing anything that doesn’t involve the internet or a screen—talk to your partner, use a sheet mask, flip through a magazine, or write in your journal, for example. Your sleep will be better, and Future You—you know, the one who isn’t totally exhausted when you wake up—will thank you for it.